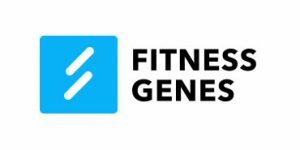 FitnessGenes is a privately held company founded in 2013 in Bicester, Oxfordshire. It specializes in studying our individual response to nutrition, exercise, and certain ingredients found in common supplements. Using this combination of lifestyle choices and DNA, the company provides its users with deep insights and recommendations concerning weight loss, fitness, and building muscle. Whether you are a regular consumer, fitness facility owner, nutrition/training professional or biohacker, keep reading this detailed FitnessGenes review to learn what this company’s team of medical doctors, Ph.D. geneticists, nutritionists, and exercise scientists can do for you. Placing an order – Once you go over the company’s portfolio, you can place your order on the official website. You can also purchase just its workout plan if you had your DNA tested with another company. FitnessGenes currently uses PayPal and Stripe to process payments and accepts USD, GBP, CAD, AUS, EUR, and AED. The official site will detect your country automatically and offer you the appropriate currency. There is also a possibility of establishing a partnership with gyms and personal trainers/coaches. Some health insurance plans will also cover the cost of the testing, but that depends on your provider. The company offers a discount for bulk orders (5+ testing kits). Finally, if you have any questions or doubts or want to change your plan before using it, you can contact the customer support team at support@fitnessgenes.com. Registering your kit – Once you receive your personal testing kit, simply find your unique barcode located on the saliva collection tube and enter it in your FitnessGenes account on the official website. This code will connect you with your sample (and final report) since lab technicians do not operate with names and personal data. 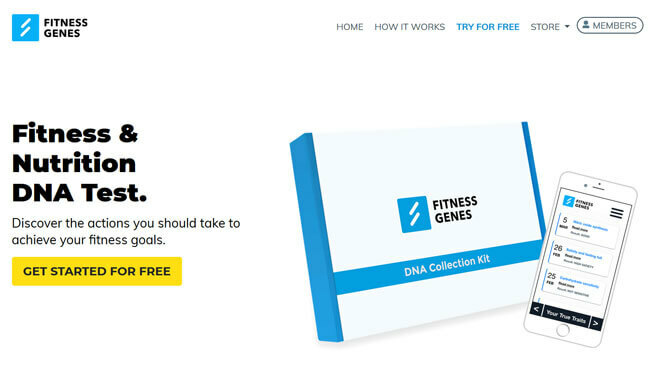 Collect your sample – As we already mentioned in this FitnessGenes review, the company offers a saliva-based DNA test. Early in the morning is the best time for you to provide your sample to avoid potential contamination. Note that you should not eat, drink, chew gum or smoke at least 30 minutes before sample collection. Apart from the instructions provided with your kit, you can also find a step-by-step sample collection manual on the official website. Additionally, there is a short video guide on YouTube recorded by Dr. Dan Reardon. Sending the sample back to the lab – Once your biological specimen is secured within the provided collection tube, you can mail it back to the lab using the original mailing box. In the US, the UK, and Canada, you can use the free returns label to return the kit absolutely free of charge. Outside of those countries, you can either use your standard postal service or couriers like UPS or FedEx. If your sample gets lost in transit, the company will cancel that specific barcode and issue a new kit free of charge. If you have to fill out a customs form, you can describe the content as “Exempt human specimen – saliva sample.” Additionally, you should enter “No commercial value” or 1$ if you have to enter a value above zero. You do not have to worry about your sample expiring before it reaches the lab since the provided buffer solution preserves it for up to five years. Inspecting your results – Once the company receives your sample, you will be given an estimated date of completion (usually 2-3 weeks). 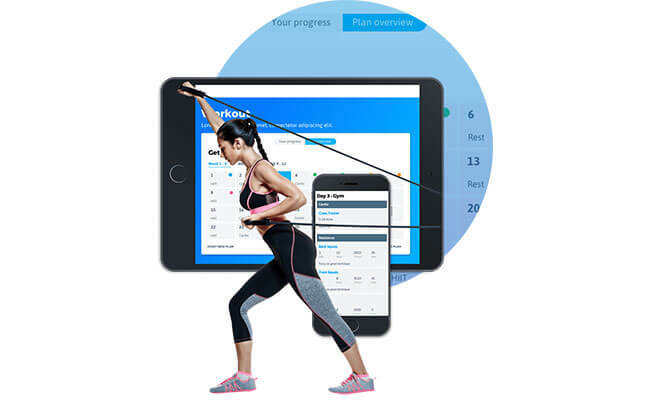 Your final report will be delivered through your personal FitnessGenes account, which allows the company to cut the average turnaround time and update your results free of charge as the scientific understanding of fitness and genetics advances through new research. Note that the company does not provide a printable version of the results. 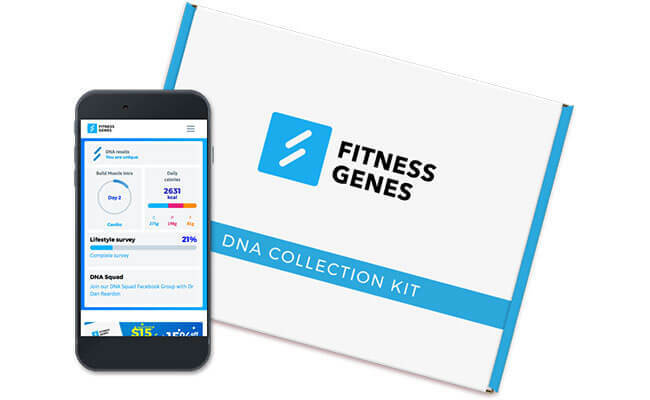 The first step with FitnessGenes is to take the company’s DNA test or upload your raw data from Ancestry.com or 23andMe. The in-house test costs 179.00€ while raw data upload costs 45.00€ for both companies. FintessGenes DNA test analyzes 40 different genes related to health, fitness, and nutrition and combines the findings with your lifestyle. The final report is designed to provide you with complete information regarding your body’s response to exercise and diet. The test screens for more than 60,000 genetic variants using cutting-edge microarray technology. Free 1-week Genetic Workout Plan – A personalized plan designed to unlock your full potential. It includes exercise type, workout frequency/volume, and rest and recovery. 31 personal insights and 18 actions – These include your genetic response to exercise, diet, sleeping, and different supplements, as well the impact of the analyzed genes on your appetite, fat burning, VO2 max, nutrient metabolism, eating behavior, sleep cycle, muscle strength, post-workout recovery, insulin function, muscle fiber composition, and more. 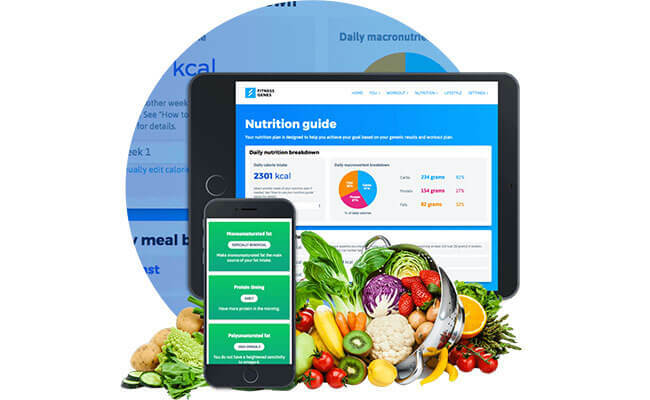 Nutrition Guide – A personalized report containing your recommended meal frequency, calorie intake, macronutrient ratios, and supplement needs. The guide is also suitable for vegans and vegetarians. Recommended recipes – A personalized list of recipes designed to align with your nutritional requirements and unique genetic profile. You can also create a free FitnessGenes account to access TrueFeed and view the latest genetic trait blogs and videos. Note that this access is view-only and not personalized for non-premium users. Premium access also grants you online support provided by Dr. Dan, the CEO of FitnessGenes, the company’s genetic coaching team, and the provider’s private online community. Finally, it also unlocks access to premium content. Transaction data – Name, email address, postal address, and bank details/payment information. This data will be processed by the company’s payment service provider. Registration data – Name, phone number, email address, user ID, and password. This data will never be shared with third parties without your consent. Genetic data – Your biological specimen constitutes a special data category under the GDPR and the company will ask for your explicit consent before processing your genetic material. Self-reported data – This data includes your family, gender, social circumstances, and lifestyle. It will never be processed without your explicit consent. Partnership equity data – If you are interested in FitnessGenes’ partnership program, you will be prompted to provide your name, company, email address, postal address, and phone number. This info is used to contact you and will never be shared without your consent. The company retains your personal info for the period necessary to provide you with its services and unless required by law to do otherwise. With your explicit consent, FitnessGenes may retain your biological specimen for up to 12 years for future research and development. FitnessGenes incorporates numerous organizational and technical measures to safeguard your personal information in accordance with the GDPR. DNA samples are held in a protected facility with 24-hour surveillance and access restricted to authorized personnel. The company provides you with all the rights guaranteed by the GDPR, which includes the right to request the deletion of your personal information without any undue delay. FitnessGenes features numerous distribution centers all over the world, which means it can ship its products to almost every country out there. However, due to certain difficulties, the company does not ship to China, Korea, and Russia. If your country requires you to complete any additional paperwork, you can always contact the company’s support team and they will work with you on meeting all the necessary requirements. As we already mentioned in this FitnessGenes review, return shipping is free in the US, UK, and Canada. In all other countries, you will have to cover the costs of your standard postal service or chosen courier. FitnessGenes also delivers to PO Box addresses within the US, the UK, Europe, New Zealand, and Australia. Note that the company cannot provide you with a tracking number outside of the US, the UK, and Canada. The company also ships to APO-Forces addresses, but those shipments might take longer to arrive. Finally, if you live in the US, the UK, Europe or Australia, your personal testing kit should arrive in 5-7 business days. For all other countries, this window is between 7 and 10 days. 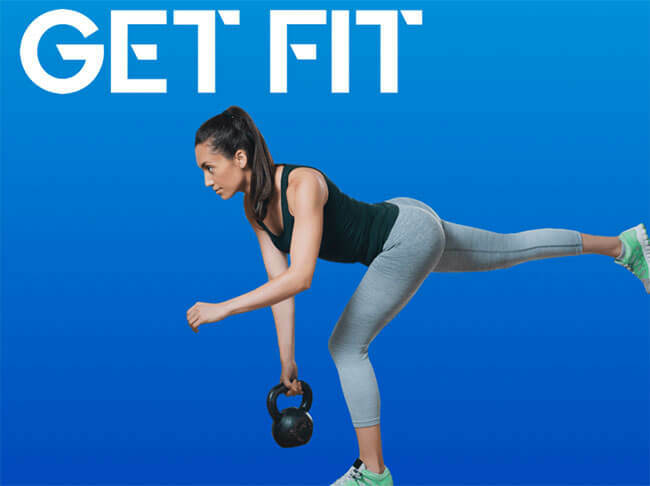 Our FitnessGenes review revealed a modern company dedicated to establishing a solid connection between your unique genetic signature and fitness aspirations. The company generates personal diet and training programs based on your DNA and personal goals. 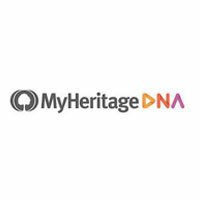 Having said that, this is not a service that can reveal your ancestry or food intolerances or diagnose you with any genetic conditions. The company offers a pretty decent DNA testing solution that examines important genetic variants associated with fitness performance and dietary response. After the test, you can opt for one of the personal plans that will outline your dietary needs and provide you with a comprehensive exercise program with reps, rest times, and pretty much everything you will ever need to achieve your fitness goals. Our ratings are the result of an objective and independent evaluation of FitnessGenes , generating the final rating that reflects the overall quality of the company. Ratings may change as the service changes. FitnessGenes user rating based on 2 user reviews. This company and Dr. Dan helped me get in shape after my surgery and being chained to the bed for months. Definitely recommend it to anybody in a similar position since these guys know what they’re doing. Let’s face it, counting calories and making your own exercise program is such a pain and who has the time anyway. Fitnessgenes did it all for me and I know it’s all based on my DNA nad personalized for me. Great service that saves a lot of time and money on personal trainers and nutritionists. I ordered the Get Fit program and it’s working out great for me. Lost 6 pounds in just a week. We found 0 verified FitnessGenes discounts for April, 2019. There are no FitnessGenes coupons or discounts right now.